Product prices and availability are accurate as of 2019-04-13 14:04:34 EDT and are subject to change. Any price and availability information displayed on http://www.amazon.com/ at the time of purchase will apply to the purchase of this product. 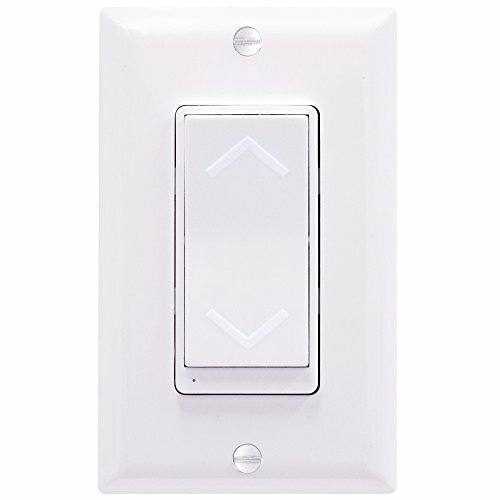 ENERWAVE ZW15RM Z-Wave Smart Outlet replaces standard wall receptacle and enables your wireless control to home as very important component of home automation system. 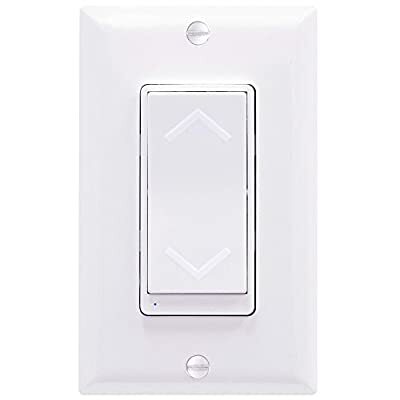 Same as other Z-Wave dimmer, sensor and switch, ZW15RM outlet must be connected/paired wirelessly into the home automation system gateway/hub, such as smartthings, vera, veraedge, smartthings gateway, Mi Casa Verde Vera3 or other z-wave certified hubs. The paring is is easy, simple and once done, it will be connected forever unless you change your hub. After that, you don't have to worry on forgetting to unplug the devices after power charging, or forgetting to turn off the fan, floor light, TV, portable air-condition, heater, speaker, music player and electric work. YOU CAN TURN THEM OFF REMOTELY from anywhere on any smart phone, tablet, iPad or desktop computer. Replacing standard wall receptacle with z-wave smart outlet ZW15RM helps cut down energy bill and improve safety. It's not only an ON/OFF control, but you can add them to a customized scene/event group and control it together with other devices in the same scene group for great convenience and smart control of your home event and schedule. One outlet is z-wave controlled outlet with programmable functions of managing ON/OFF by scenes, association and schedule event. ZW15RM z-wave receptacle has a blue LED indicates status of the controlled outlet and/or act as a night light for easy locating in darkness. Another one outlet is always-on for flexibility to charge your devices. ENERWAVE and TOPGREENER outlet/receptacle products use Tamper Resistant design for more secured safety. It is required by code for new build homes. This Z-wave TR Duplex Receptacle is fully 2011 NEC code compliant. Three extra interchangeable face plates included in the box (White, black, and light almond). Easy installation, paring, your home can be SMART, Energy Efficient and Secure with Enerwave Z-Wave outlet, dimmer, sensor and switches!